Although many of you may have already found your favorite foundations and concealers, the rest of us (including me) are still struggling to find the right tint and shade. Hema Beauty seems to have the answer within its product range!! In other words, no more mismatched shades, wasted money and time in order to find the store with an adequate assortment. I love a natural look for the daytime. I used the skin protecting Illuminating Foundation. It’s all you need for light coverage and a sheer veil of color and SPF protection; making it essential for the summer months. For the evening / night, I chose the Matt Skin Foundation, which has a long lasting mattifying effect. I am also really excited about the new Foundation Drops!! Being that I’m someone who tans relatively quickly in a country with a warm climate, yet quick to be cold when the sun is missing in action – this product provides the perfect solution for year-round travelers. I’m able to customize my coverage like a pro by adding a few drops to manipulate the existing shade, as opposed to hauling around a selection of compacts. If you’re having a hard time finding your match, you can have your skin scanned in the store with the help of a trained beauty expert. 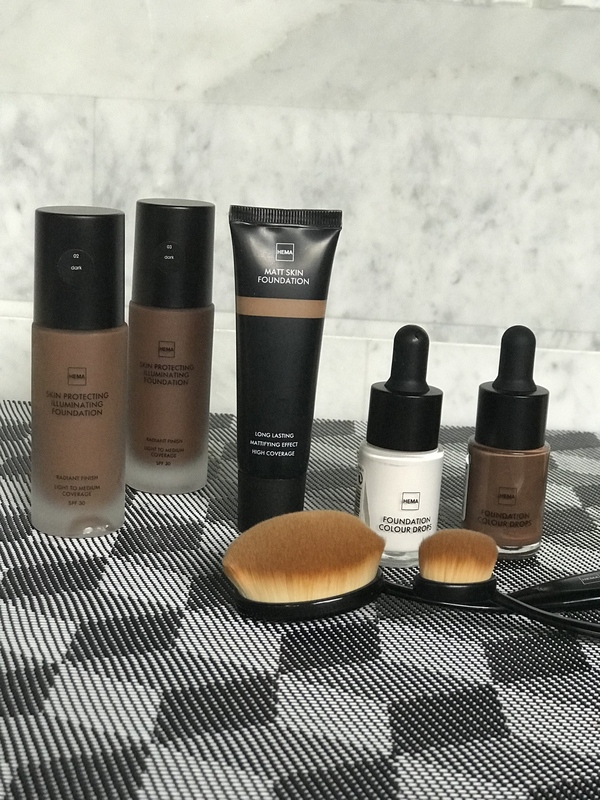 De Foundation Scanner tells you which shade matches your tone and the beauty specialist will assist you with the type of foundation you need. Hema, thank you for embracing diversity and making it fun and easy to find the perfect match! !